I don’t mind admitting I’m no Betty Crocker in the kitchen, in fact, you could say while I have a passion for eating but I’m by no means a chef or even chef’s hand. One dish I LOVE is Mexican! I could eat Mexican literally every day of the week. I love the flavours and I love that no matter what the season Mexican is always delicious and don’t even get me started on the margaritas! 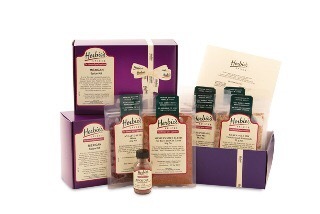 Recently I was sent a very cool care package full of Mexican herbs and seasonings from Herbies Spices. The spices came with an easy to follow recipes guide and ideas on how best to use them so even a rookie chef like me can turn a boring piece of meat into a Mexican feast. A little bit goes a long way and a packet will last you for many dishes. Many of the ingredients are things I have never seen before while shopping at my local supermarket, which allowed me to take my Mexican to a whole new level. They left my family wanting more and wanting seconds. 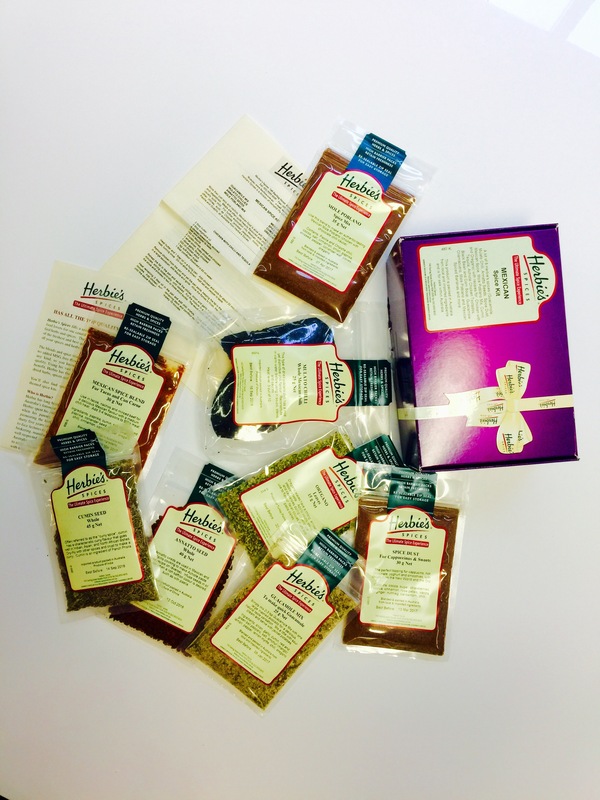 This holiday season Herbies Spices are giving one lucky reader the chance to spice up their kitchen with a delicious Mexican Kit valued at $35. For a chance to WIN simply share with us your favourite Christmas carol? More than just taco and nachos, Mexican food is alive with hearty beans and tomatoes, breads and vegetables. Meals are often quite heavily flavoured with chilli, however the recipes here are quite mild. For further exploration into Mexican cuisine, we recommend you seek out other chillies, such as Chipotle (smoked Jalapeno), Ancho, New Mexico, Green Jalapeno, Pasilla and Guajillo, all available from Herbie’s Spices. The Mexican Spice Kit includes seven spices and blends (annatto seeds, guacamole mix, mulato chillies, Mexican spice mix, cumin seeds, sweet Spice Dust and Mole Poblano spice mix) with recipes for authentic Mexican foods such as Chicken with Chilli and Tequila, Achiote Chicken Tostadas with Mango Sauce, Recado Marinade with Olive and Orange Sauce, Black Bean and Corn Soup, Mole Poblano, Mexican Fried Bananas and Guacamole Chamacuero. I’m dreaming of a white. Christmas, (especially with this heat) by Bing Crosby good oldie. Jingle Bells. Upbeat and fun. Although we do tend to make our own carols up, (my kids think I’m crazy), I’m no singer or songwriter. So maybe Jingle Bell Rock. Up beat so you can shake your booty to it. Little Drummer Boy. Just gets you in a positive mood! I love Christmas carols. It’s the only time anyone like me, that is – without tune, rhythm, harmony, singing ability or an ear for music – can belt out a song without criticism (dogs still howl at me though). I love ‘O Come All Ye Faithful’. It’s a lovely song and has brilliant notes that need to be belted. Jingle Bell Rock! – I sing it in my brain at Christmas time!